Portland, Ore. (June 26, 2013) – Hi-Tec Sports, the global sports and outdoor company, has launched a new online training platform for its retail partners to support retail staff training and provide exclusive incentives. This new platform, HTM360.com, has been custom designed to support the Hi-Tec brand and its sister brand, Magnum. HTM360.com offers the Hi-Tec and Magnum retail partner sales staff a fun, interactive training platform with exclusive opportunities to earn discounted and free products. Staff can train in three modules: a guide to brand history, brand technology and current product offerings. Understanding these key brand components will further enhance brand knowledge and, in turn, increase sales for the retailers. Founded in 1974 by company Chairman Frank van Wezel, and with annual sales exceeding $250 million, Hi-Tec created the lightweight-hiking category with the introduction of the Sierra Sneaker and Sierra Lite hiking boot. Today, Hi-Tec remains true to its heritage, offering technical footwear and apparel for outdoor adventure. With nearly four decades of product and performance technology innovation, Hi-Tec is committed to making rugged, durable products for work, trails and life, authentically inspired by the real outdoor experience. Hi-Tec Sports USA is a subsidiary of Hi-Tec Sports, PLC, Amsterdam. 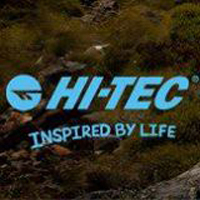 Hi-Tec products are sold in over 70 countries worldwide. For more information, visit www.hi-tec.com/us and follow us on facebook.com/hitecusa and twitter/hitecusa.